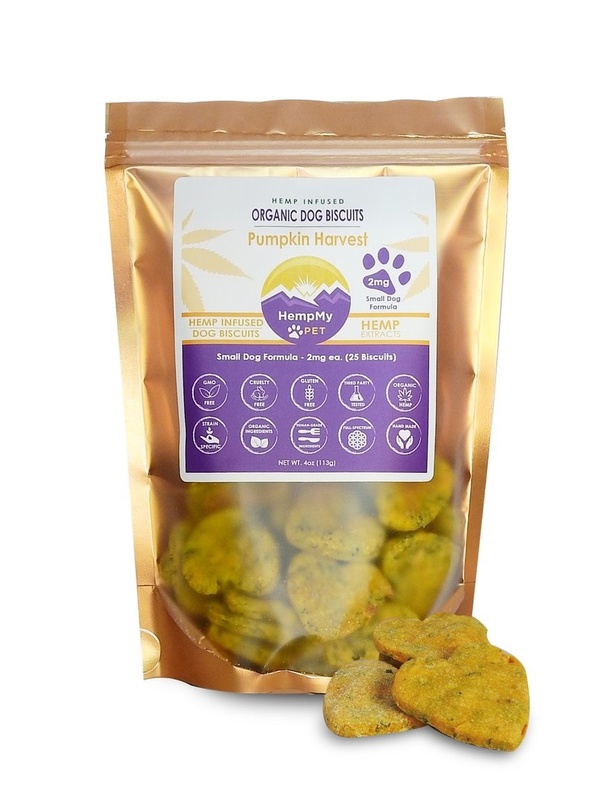 These Pumpkin Harvest Biscuits are handmade in small batches, to ensure a fresh and tasty treat that your canine companion will love! Made with Organic and human-grade ingredients, these delicious biscuits are infused with our own Organically-grown Hemp that we grow ourselves in Colorado. 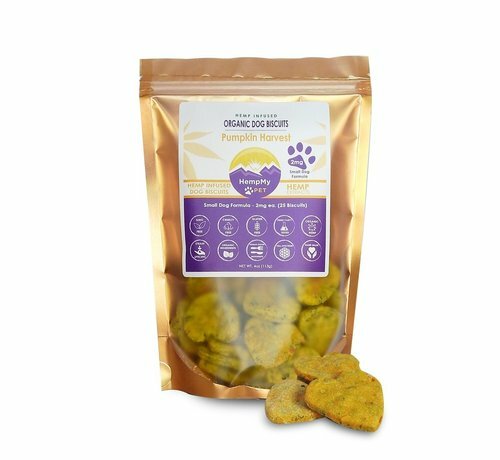 These "Small Dog Formula" is suggested for the little doggies who want a daily supplement of goodness in addition to their regular diets. These biscuits are intended for a reward, and are not meant to replace your dog's food.